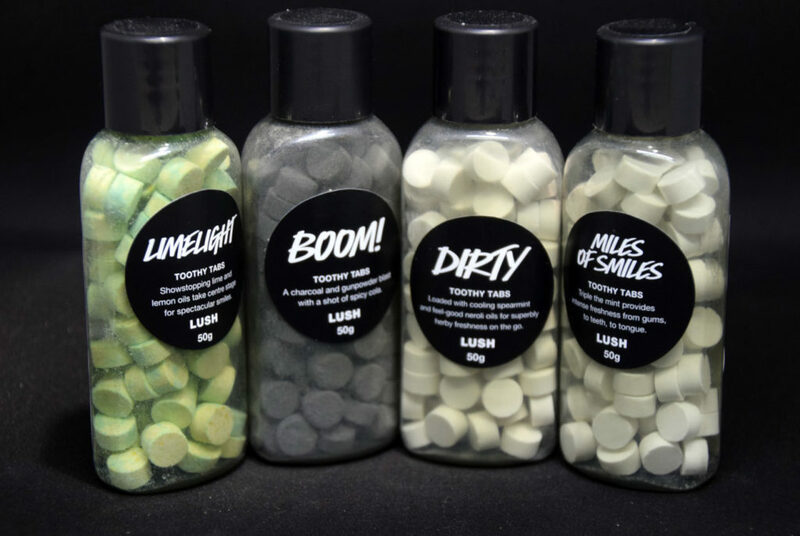 I have been searching for an alternate option for toothpaste to take on hiking trips for a while when I came across Toothy Tabs from Lush Cosmetics. I personally dislike toothpaste and have always have seen it as a necessary evil. While small travel sized toothpaste tubes are readily available I just wanted another option. I had looked at tooth powder, also available from Lush, but liked the idea of the Toothy Tabs purely from a convenience factor. These tablets take a bit of getting used to but both Gill and I found that after a week of using them getting the right action was second nature. Essentially you pop one of these 0.6gram tablets into your mouth, chew for a few seconds, then brush as normal. They do foam up like toothpaste but nowhere near as much which for me is a plus. The flavours are variable as outlined below and seem to be very personal so everyone is going to have a different opinion on these. One of the benefits for hikers is the minimal weight of these tablets with full bottle weighing in at 65 grams but this includes approximate 84 tablets (42 days worth). If you are just going for 5 days trip then the 10 tablets will only weight in at 6 grams so you can’t really get much better weight savings than this. These tablets don’t contain fluoride which may be a consideration for you in deciding whether these are for you or not. Judging by the differences in the reviews this is going to one of this products that is going to be divisive and you are either going to like them or hate them. From my perspective this is a product that I will definitely use while out bush but I definitely have my favourites. 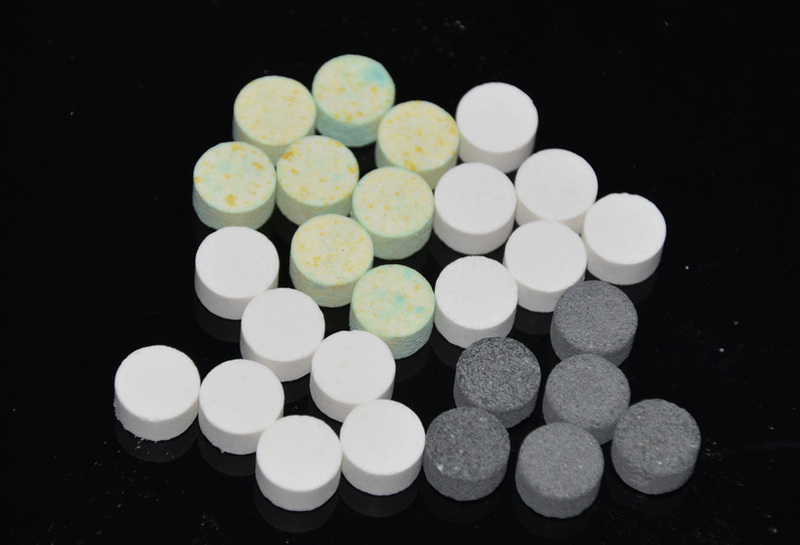 There are four different ‘flavours’ of Toothy Tabs and here’s how we found them. He said: This was the first of the Toothy Tabs that I tried and had high expectations for no other reason other than the fancy green and yellow appearance and that that I love lime. Firstly I’m used to the typical cooling effects that you get from toothpaste and in this case I found it the opposite with more of an after effect of heat. I also wasn’t a fan of the taste with this version, it just didn’t taste right and maybe that’s because lime is not a taste you normally associate with toothpaste. She said: Ugh! This one is not for me. While it cleans your teeth quite well, it tastes like soap! I could taste the lime but its overwhelmed by the soapy-ness. He said: The taste of this offering was reasonably neutral and I found this to be quite good overall but the the major drawback here is that ‘Boom’ contains charcoal and as result is dark grey in colour. Works well out in the bush as it doesn’t lean those white ‘spit marks’ everywhere but if you are spitting out into a white porcelain sink you get black every where which required quite a bit of cleaning. Out in the bush you would need to rinse to get rid of the colouring or use risk some very strange looks form passers by. She said: This one was quite OK. I imagine the charcoal is good for bad breath but the black in your mouth is a bit disconcerting. You do need to rinse your mouth with this one and I wonder how convenient that might be if you’re in a hurry. He said: A clear winner for me. This spearmint based toothy tab is very close to toothpaste but without the strong toothpaste taste that I dislike so much. For me this is my pick of the batch. She said: Yes this one is good. The soapy taste is not so prominent and you don’t have the challenges of a black charcoal mouth despite it still being on the dark side. He said: another variety that is very lose to toothpaste but without the strong minty flavour that ‘Dirty’ has. The flavouring is a bit more neutral. Lightish in weight at 84 grams for the whole bottle. If you take what you need you can reduce this weight much further and would be hard pressed to find a lighter option.